Last month, Softpedia reported that Samsung would be rolling out updates of its bada operating system to handsets in Europe. The update named bada 1.0.2, offers several functionalities including an improved T9 text input system called Trace and the ability to browse or use your phone even when it is connected to your PC. It also fixes memory bugs and system errors that plague bada users, and offers a smoother browsing experience. The update allows you to set separate alerts for messages and mails; my Nokia E63 would do that from the start, but Samsung forgot to implement it! It's impossible to find any communication from Samsung about the bada update, so I have had to fall back on the bada user forums. It appears that as of November 9, most European markets have been able to download the firmware update officially through Kies, the Samsung PC connectivity software. And many people in other parts of the world have successfully flashed the European firmware onto their device and are pleased with the improvements. I would love to do it, but I honestly lack the guts. 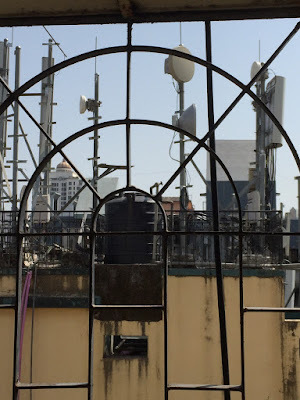 It was one thing to flash firmwares onto my MP3 players; I had nothing to lose, but a Rs.18,000 phone which seems to be off the market already, is a different matter. If I go by the alphanumerics, Bada 1.0 JH1 is not the oldest version of the bada OS.People in some parts of the world still have JF2 or JF5. The most recent updates are to bada 1.0.2 come with a bewildering range of different prefixes - 1.0.2 JI3, JH2, JH3, and even JI4 and somewhere just to confuse me more, an XXJ9. It does not help that Samsung maintains a policy of firm silence on firmware updates. Maybe they want to avoid confusing people more? 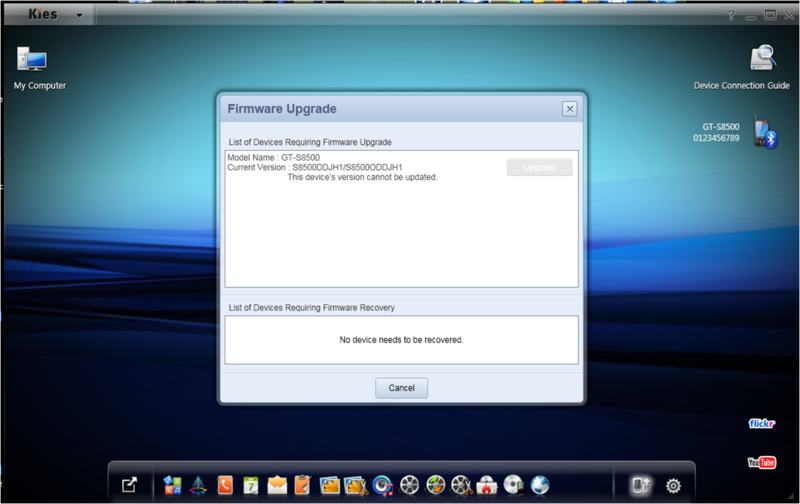 It's irritating but its part and parcel of dealing with firmware updates from Korean companies. I have lived through this for the last 5 years across iRiver, Cowon and now Samsung. Cutting edge hardware, great performance, a gazillion firmware updates and zero corporate communication. I have seriously contemplated learning Korean just so that I can understand what is going on, because I'm sure users in the country will have way better knowledge than I do. With all these firmware versions floating around, it's reasonable for me to suppose that I can get an update. I connected to Kies and got the following message.